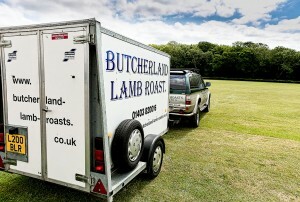 Welcome to Butcherland Lamb Roasts. 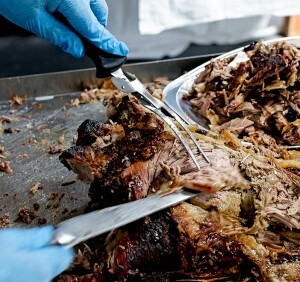 Our lamb roast becomes very lean yet, from the constant basting remains moist and melts in the mouth! We have over 25 years experience in our field. 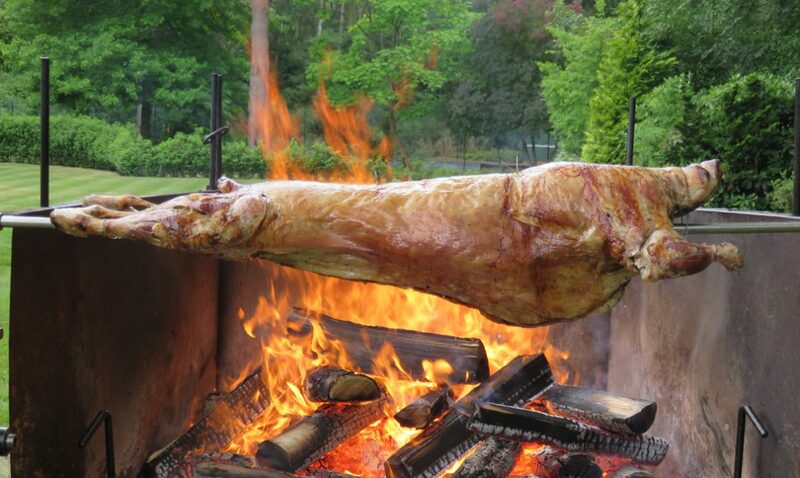 We specialise in cooking whole organic lamb traditionally beside a log fire to give a very unique flavour. Our lamb roast is slow cooked and continuously basted for at least five hours giving a mouth-watering aroma and a taste to die for. Catering hire and outside catering, event catering hire, wedding catering along with corporate catering hire and family event catering, for Sussex, Surrey, Hampshire, Wiltshire & Dorset. From here you can find out all about us and our history in our “About Us” page. Get all the information you may require on “Our Service” page. See our hygiene certifications and our local authority food rating on our “Our Credentials” page. If you then require more information or would like to make a booking with us please contact us by either telephone or email these can be found on our “Contact Us” page.